NetworkName will show “” when on a vDS. NOTE: Entries are not grouped together in the .VMX file so check the whole file to ensure you see all relevant entries. 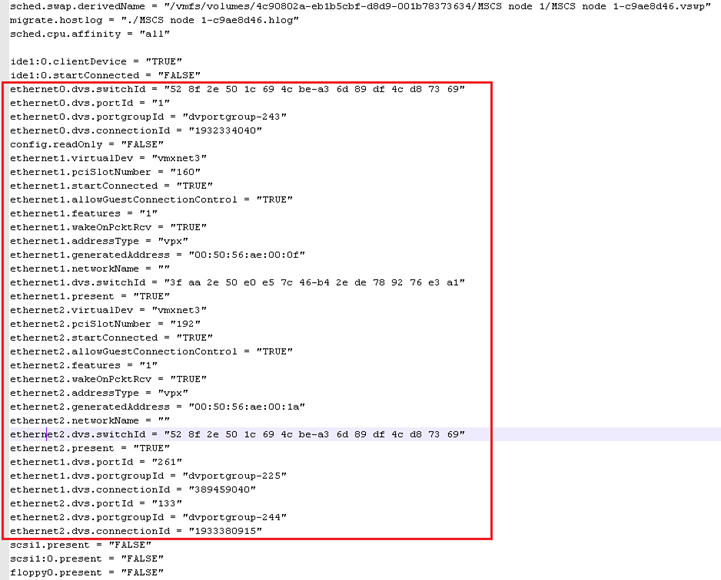 Like the .VMX file it contains entries for both switch types although there are only minimal entries for the vDS. 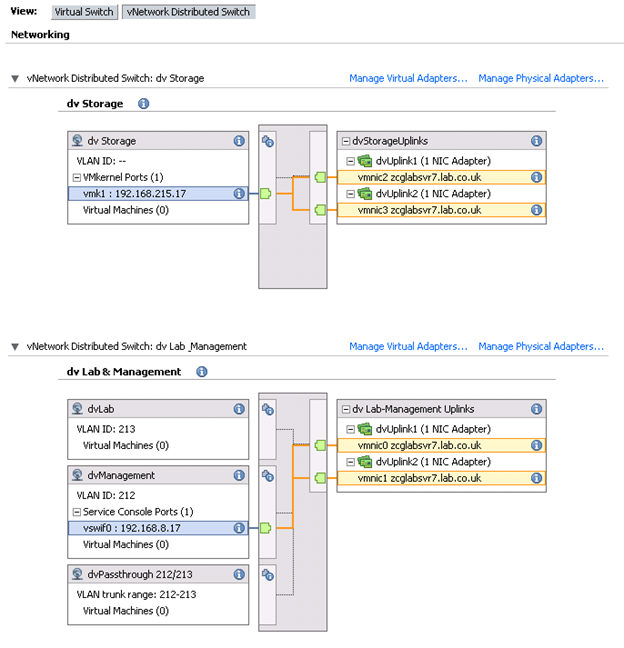 Most vDS configuration is held in a separate database and can be viewed using net-dvs (see section 6.3.7). Check section 6.1 for the typical logs used for vCenter and ESX/i hosts. Charming! VMware put an objective in the exam which references an unsupported command and then provides next to no documentation on how to use it. So generous! Trainsignal’s Troubleshooting vSphere training course covers the basics of net-dvs and how to match entries to a VM’s .vmx file. Well worth the asking price. 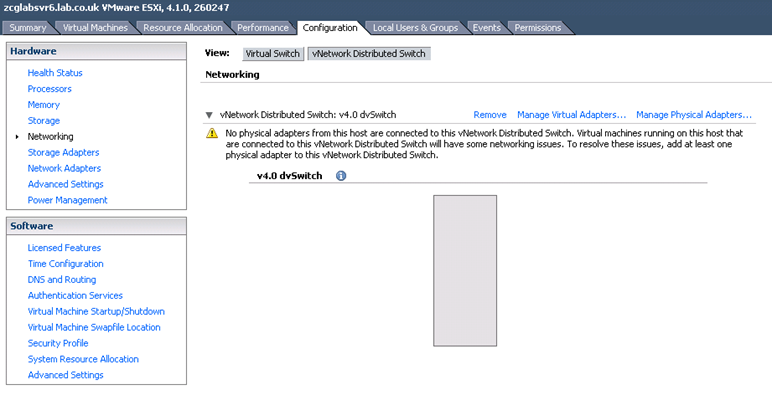 When connecting the VI Client directly to the host in question you’ll see it still has vDS network configuration even though vCenter shows nothing for this host. This shows that the host retains some of the vDS settings which may interfere with correct network functionality. You can read some background and the solution to this problem on Eric Sloof’s blog or in VMwareKB1017558. Remove vDS config from host. The guest OS (for virtual network traffic). This can use your choice of sniffer – Wireshark is a popular and free option (check this post for a Wireshark tutorial). The service console or tech support mode (for http://premier-pharmacy.com/product/amoxicillin/ management online pharmacy accutane traffic, vMotion etc). You’re more limited here as you can’t install extra tools. 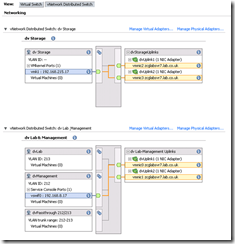 Enable a promiscuous port for use with the VM running the packet sniffer. NOTE: Either enable promiscuous mode on the vSwitch or create a dedicated portgroup and only enable promiscuous mode on that portgroup (slightly more secure). Check this blogpost showing how to enable promiscuous mode. tcpdump (ESX). Can capture both vmKernel and Service Console traffic. tcpdump-uw (ESXi). Only works on vmKernel interfaces. Tcpdump isn’t as full featured as Wireshark, it merely displays packets and lets you filter what to display using multiple criteria such as source IP, destination IP, ports etc. It won’t do any analysis, highlighting or protocol recognition etc, so is less user friendly. You can output to a file using ‘-w’ and open that in Wireshark for later analysis. NOTE: If you’re using SSH to connect to a host (rather than a direct console connection via ILO etc) and then running tcpdump you’ll see lots of traffic to port 22 as the screen updates are being sent to your screen! Exclude them using ‘port not 22’ on the end of the tcpdump syntax. 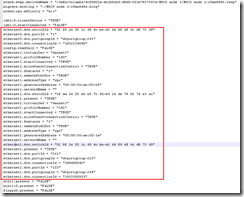 VMwareKB1018217 shows a sample syntax used when diagnosing issues enabling HA. 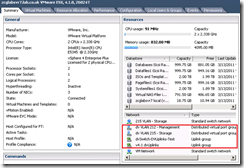 VMwareKB1031186 details how to capture packets on an ESXi host. 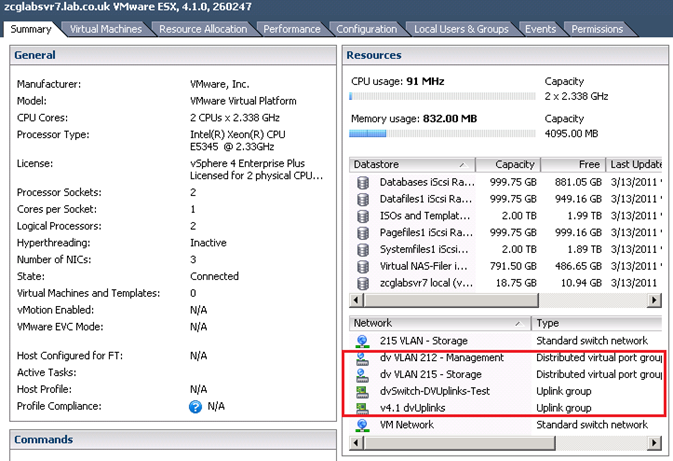 vSphere 4.0 U2 introduced a new tool (console-setup) to make configuring the service console easier (VMware KB1022078). Prior to update 2 refer to VMwareKB1000258. 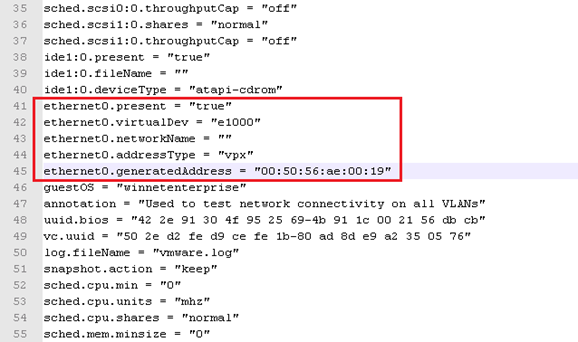 For general instructions on verifying service console connectivity refer to VMwareKB1003796 (it’s the same as RHEL5 if you’re familiar with Linux). Is the physical switch configured correctly for all uplinks? NOTE: VMwareKB1003969 covers some good general troubleshooting steps. NOTE: When configuring NIC teaming on an ESXi server and using ‘route based on IP hash’ with an Etherchannel link you can experience intermittent network access – see VMwareKB1022751 for an explanation and solution. You can use esxtop to check the NIC teaming is working as expected. Check the traffic per vmnic, and also if any packets are being dropped.